Robotic process automation (RPA) technologies are reaching a key inflection point as more industries recognize the power of software robots. Where many sectors have automated through a combination of specialized machinery and advanced control networks, more accessible software bots are empowering companies in a wider range of sectors to create standardized, fast-moving workflows that maximize the value of human resources by eliminating repetitive manual processes. The RPA innovation underway is particularly evident when it comes to regulatory compliance. This is especially noteworthy in financial services, but is similarly applicable in just about any sector that faces strict guidelines around documenting work and creating an audit trail. The regulatory argument around RPA technologies is fairly simple—if an organization has scripted its procedures in a way that complies with regulations and software enacts those procedures within the compliant parameters, then the risk of a regulatory breach disappears. Of course, the situation is a bit more complex than this, but the potential is significant and businesses are starting to take notice. RPA is proving instrumental in helping companies improve regulatory processes. According to a Banking Tech report, the ability to automate regulatory processes is emerging as an extremely popular idea among executives in highly regulated sectors such as financial services. Consider what executives are thinking: As things stand, they must devote significant staff resources, often involved specialized skills, to manually go through operations to track and enforce regulatory compliance. This doesn’t just mean hours of work, this means entire teams working constantly, and often in inefficient ways. Many RPA processes can be laid out over legacy systems, limiting the need to change underlying configurations to support RPA innovation. An effective RPA strategy promises to establish a much more efficient regulatory compliance work environment, but what does it take to create such a setup? Organizations that want to take advantage of what RPA has to offer must prepare carefully to ensure their systems are ready to automate backend processes. A study from Deloitte found that the opportunity for regulatory compliance gains through RPA technologies are significant. RPA tools are already transforming monitoring and testing processes by helping financial services firms quickly complete operational tests within specific regulatory frameworks to ensure compliance. Appian can offer organizations a unique edge in preparing for an RPA system implementation. Our background and technologies in the business process management sector allow us to offer deep expertise on process automation and standardization. With these capabilities in hand, organizations can evaluate their regulatory processes with greater precision and establish the underlying framework needed to maximize the benefits of an RPA system. Organizations that see the promise of RPA solutions, particularly in financial services, may need to get moving as regulatory pressure is only ramping up. Up to this point, we’ve primarily discussed RPA solutions as a way to overcome some longstanding process and efficiency gaps that exist in regulated industries. However, the increased regulatory complexity facing businesses is making a move toward automation increasingly necessary. A study from Reuters found that the rising costs and complexity around financial services regulations are putting incredible pressure on firms. In particular, the global Know Your Customer (KYC) standards are beginning to create a great deal of stress. 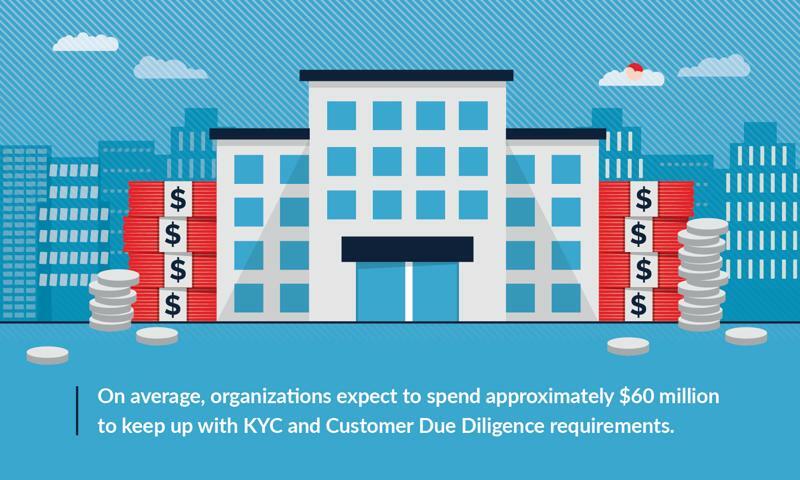 On average, organizations expect to spend approximately $60 million to keep up with KYC and Customer Due Diligence requirements. However, some firms expect spending to hit $500 million. The KYC compliance issues in the financial services sector highlight how much regulatory change can disrupt an entire sector. As organizations across a wide range of industries face regulatory pressure, they can use RPA solutions to alleviate some of the burden that comes with complex regulatory standards. The technology eliminates manual processes and creates a more efficient operational climate.